Systane eye drops effectively relieve dry eyes, providing long-lasting comfort. These eye drops are suitable for those with sensitive eyes, including contact lens wearers. Systane Eye Drops effectively relieve symptoms associated with dry eyes. 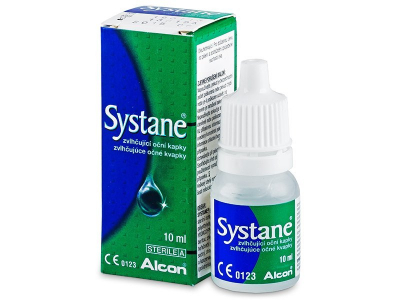 Developed by Alcon, Systane eye drops were the first artificial tears on the market that were proven to reduce dryness. Systane eye drops provide immediate and long-lasting relief for contact lens wearers. Apply Systane eye drops 10 or 15 minutes before inserting your contact lenses and again after you remove them. I never leave home without these drops. I ordered these with a larger contacts order, and was pleasantly surprised. 100% recommended!